Readers I just can't wait to share this amazing recipe with you!!! You see it all started at the beginning of this month when my dad came over to have supper with us on his birthday. I know his favorite cake is chocolate with boiled icing. 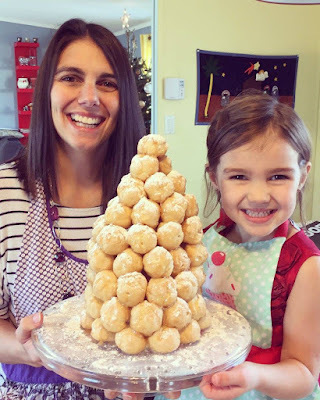 I have never made boiled icing and I will admit I was intimidated to try it. 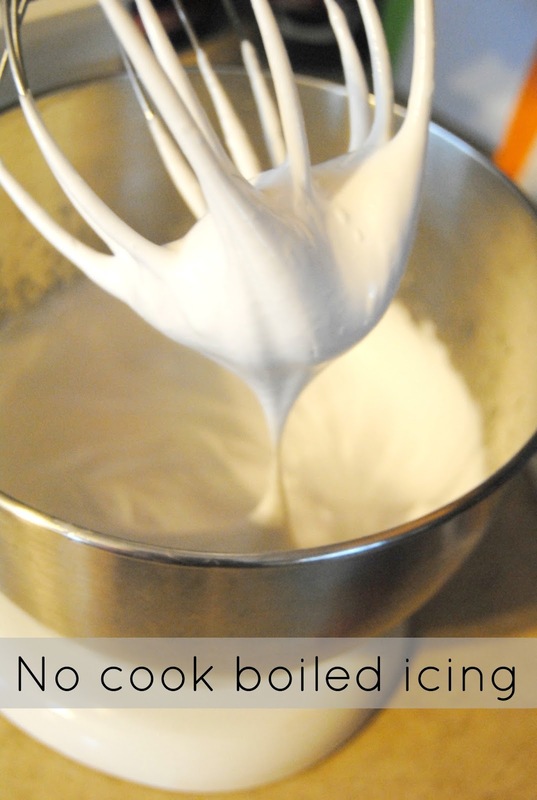 So I searched the net high and low and found the most delicious no cook boiled icing. I know that it was a hit because my dad LOVED it and couldn't tell the difference. So let me share the goodness with you all. In a stand up mixer add your egg white. 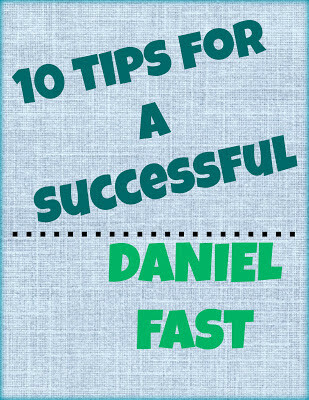 While on medium speed add in your 1 cup of sugar, vanilla, cream or tartar and boiling water. 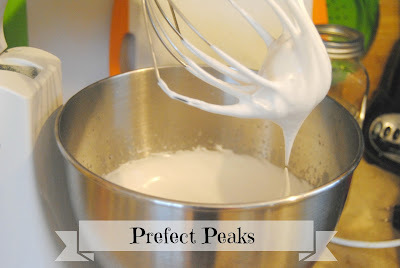 (it will look like soup) continue to mix on medium for 1 minute then put your mixer on high speed and let it do its magic until the frosting is nice and shiny and makes the prefect peaks. Then you frost :) This frosting only last about 24 hours so you must use it all at once. An added bonus to this recipe is that it is a dairy free frosting alternative!!! 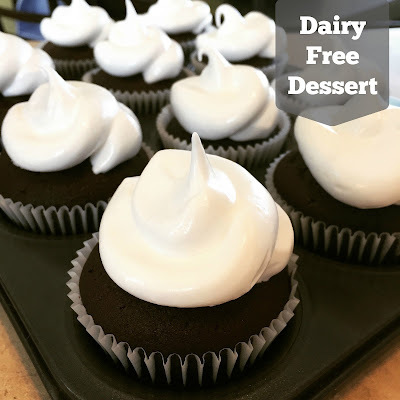 So I whipped up my dairy free chocolate cake mix and topped with this delicious boiled icing to treat some dairy free friends to a scrumptious dessert. Over the winter our family loved curling up to watch Master Chef junior together. One of the amazing desserts the kids made on the show was Croquembouche. 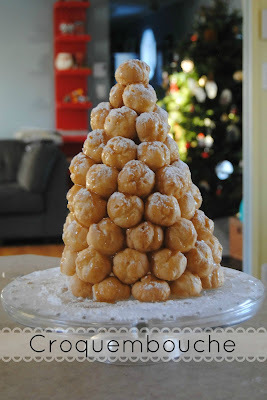 All of our eyes became very bright when we saw this delicious master piece and decided we would like to try to make one for our Peterson Christmas Party. 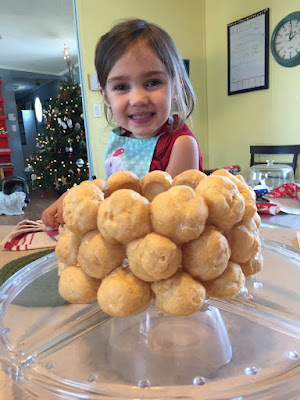 I decided that instead of trying to make the pastry ourself I would buy a box of cream puffs from Costco :) You get 100 puffs for under $10, luckily because of Christmas they were on sale for even cheaper! I looked up a lot of recipes on how to make the prefect caramel for the "glue". Once the glue was made we started to assemble our masterpiece. I think I have the cutest kitchen helper EVER!! !